Did you guys catch the chic new &apos;do Maria Menounos has been rockin&apos; lately? According to Suave Professionals® Celebrity Stylist Jenny Cho, this look is not only totally achievable, but also low maintenance. As a fan of low maintenance, natural looking waves myself, I was psyched to learn about Jenny&apos;s tips for creating this look with with the help of Suave Professionals® products. 1. Start by using Suave Professionals® Natural Infusion All Day Body Leave-In Foam on damp hair. Blow dry hair with a large round brush to create volume. 2. Mist each section of hair with Suave Professionals® Touchable Finish Lightweight Hold Aerosol Hairspray and curl hair with 1 ¼ inch curling iron for a softer look. 3. Flip hair over and gently shake the curls out, finishing with hairspray while the hair is flipped over to create more volume. 4. Finalize your look and sweep long bangs over to one side to frame the face. I am so jealous of those of you who can wear this fabulous short look. Alas, I have natural curls/waves that prevent me from going much shorter AND bangs are a no go for this girl, but I do plan on using these tips when I&apos;m looking for more defined waves than what happen naturally when I just let my hair air dry. Plus, you can&apos;t beat Suave prices. I&apos;ve been using their Volumizing Mousse for years. If I can achieve a look even a tiny bit close to as fabulous as Maria&apos;s, I&apos;m sold. Who&apos;s with me? 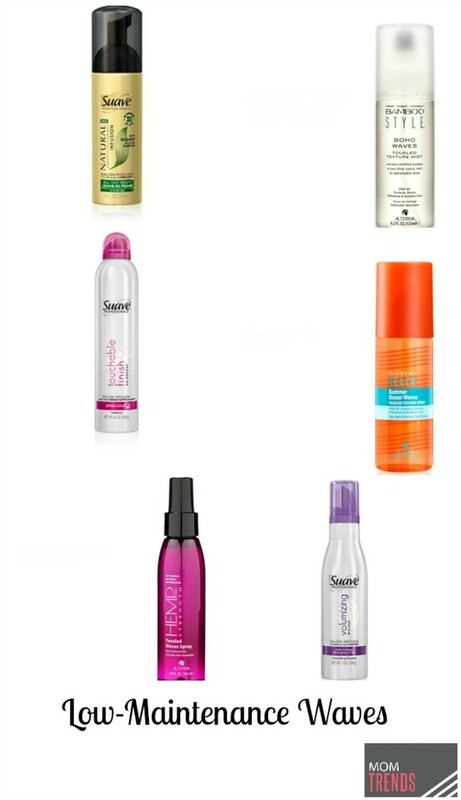 If you do happen to already have wavy hair like moi and are looking for a product or two to enhance said waves without the use of a styling device, Alterna has a few products that might work for you. If you&apos;re reluctant to say goodbye to summer and want to hang on to the beach goddess look try Bamboo Style Boho Waves Spray, Natural Strength Tousled Waves Spray or Bamboo Beach Ocean Waves Spray on for size! 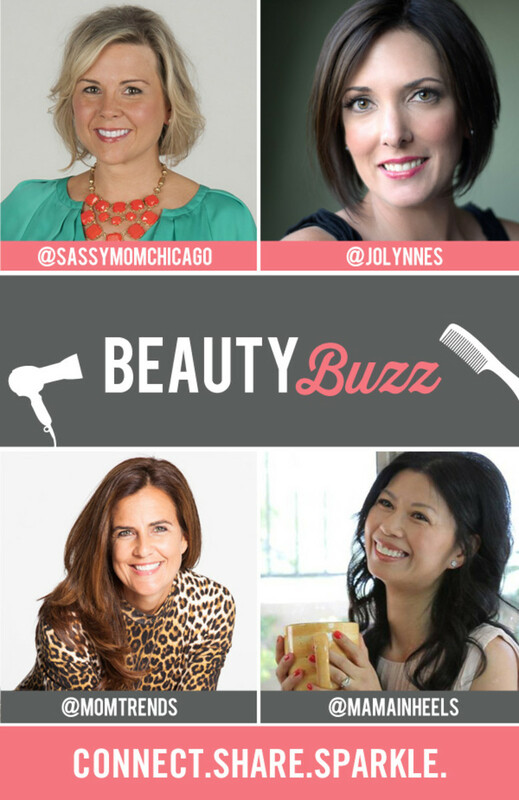 Now it&apos;s time to go see what our Beauty Buzz partners, Janise of Mama in Heels, Jo-Lynne of Musings of Housewife and Alison of Sassy Moms in the City have to share today! You can link up your own beauty posts at Musings of Housewife!